A "Hee Haw" feel of some of the greatest southern gospel songs of all time. After a four year break from heavy touring, Pete has reunited with some of his long term band mates and has begun playing selective dates in support of his 4th studio album. It was released in late April of 2014. His new album produced by Grammy nominated Nashville producer Greg Cole will feature 11 cuts. Pete has chosen some of his all time favorite "true" country music songs in addition to some new material for radio release and for his "Tru Fans". 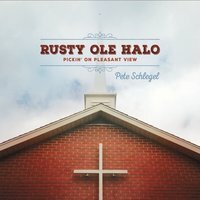 Pete has just completed a 5th studio album titled Rusty Ole Halo, which is a southern gospel album. Pete signed an agreement with Nashville based Stanley Music Group for release and promotion of the single "My God" to christian radio, with the release in late July 2016. The CD was produced by Grammy nominated producer Greg Cole and features guest vocals from Darrin Vincent and Aaron McCune. Pete was influenced at an early age by the likes of The Hee Haw quartet and old time gospel music at the Pleasant View Baptist church in Junction Ohio. When asked about his new CD to be released late spring or early summer of 2016. He is quoted as saying. "It's something that I have always pondered doing and feel that now is the time. I am really excited about working on this project, it will have a Hee Haw meets bluegrass feel to it." Listen and request Pete on your favorite radio station and see Pete at a city near you in 2016!